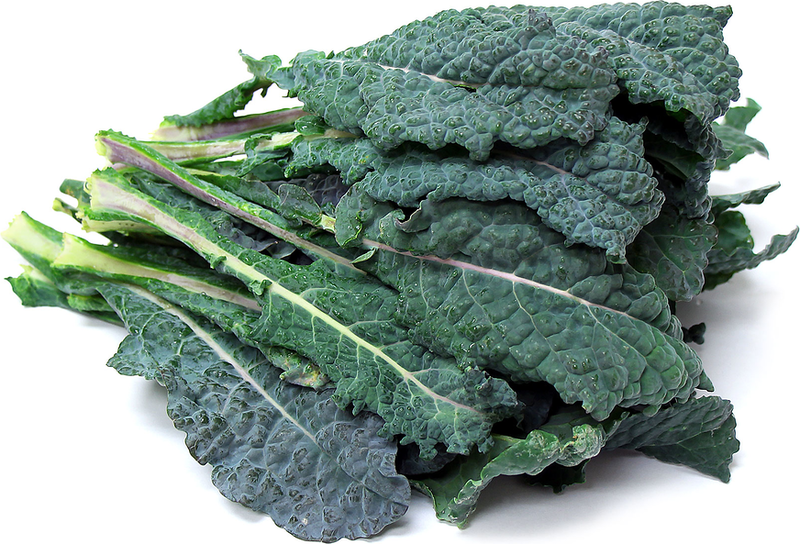 Flavorful Tuscan Kale, also called cavolo nero (meaning black cabbage in Italian), produces rich, grayish-green to deep green leaves that are characteristically crinkly. Tuscan kale is chewier than Swiss chard, sweeter in taste than collard greens and milder in flavor than peppery mustard greens. In Florence, Italy, markets identify this vegetable cavolo nero "black cabbage", even though it does not grow into a cabbage-like head and the leaves are not black in color. It is also referred to as dinosaur kal, or dino kale. Braise, sautee, steam or eat young leaves raw. In Italy, kale's forte is La Ribollita, the classic Tuscan kale and bean soup. Locally grown in California at Coastal Organics, Tuscan kale is a member of the mustard and cabbage family, Brassicaceae/Cruciferae. Recipes that include Tuscan Kale. One is easiest, three is harder.